For years I searched for a Shrimp Po Boy in town... Moving from the middle of the country to be near the ocean--- a mere 40 minute drive to Virginia Beach... I just knew Po-Boys would be huge here. Down in Destin, Florida where I grew up going to the beach, Po-Boys are always on the menu. I just knew living this close to the coast, I would have my fill on all the goodness that comes from the sea. Well, I have been sadly disappointed for years on my wish of Po-Boys from lunch and dinner until now. 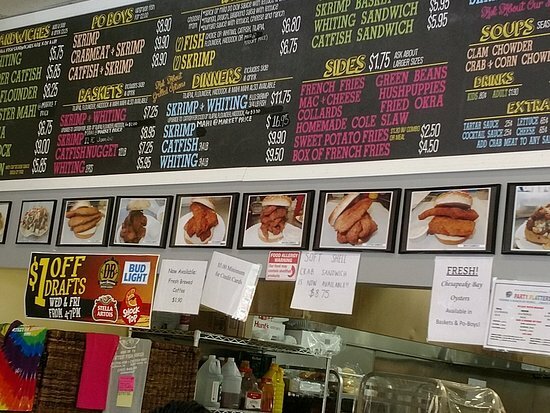 When Skrimp Shack opened a little while back, it is located at 6588 Richmond Road past The New York Deli in a shopping center, I heard about the greatness that they served up so I had to go. Well I will say, Skrimp Shack does not disappoint. The shrimp po-boy is served on the softest bread and what a relief that it. 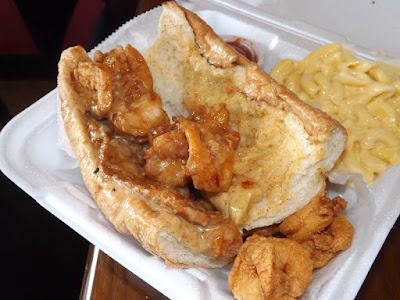 Typically po-boys are served on hard crusty bread--- this bread is soft and crusty--- no chipped teeth or need for water to help wash down. So good and I love they do not cheap down the sandwich with a lot of lettuce and tomatoes and leave you wanting more shrimp. A+ on this! You also have a choice of mild or spicy sauce. I typically am a weenie when it comes to spice so I choose mild. 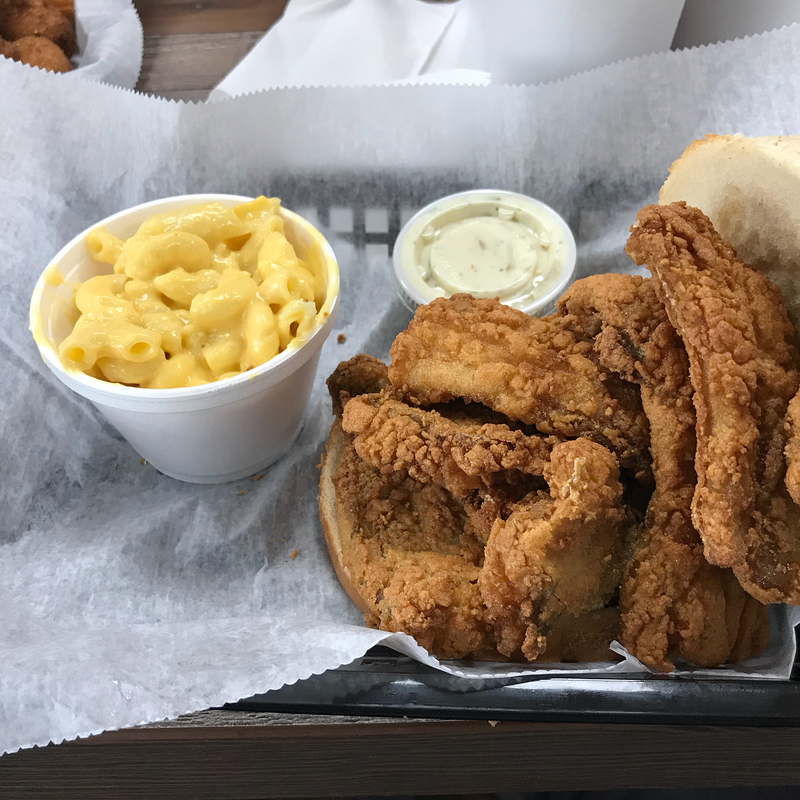 It is so much better than a typically remoulade sauce. So much better. If you are like me and my husband we can typically split the sandwich it is so big. The shrimp basket is also pretty amazing and your drink and fries are included. Serving size is large here also so you may need just one for two. The catfish breaded very nice and the hush puppies pass my approval. My only complaint about the Williamsburg location was the choice of seating they chose. They are very flimsy feeling and I feel like I could easily fall out of my chair... oh and last time we were there the music was Phantom of the Opera. Very odd choice for eating lunch. Have you been yet? What are your thoughts?